served as stunt coordinator on the movie. 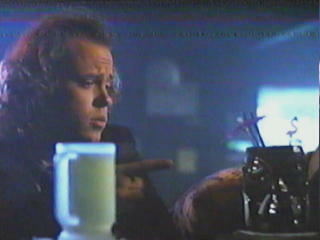 He has had parts in "Hill Street Blues", "Miami Vice", "Eight is Enough", "Rumble Fish" and "The Outsiders". 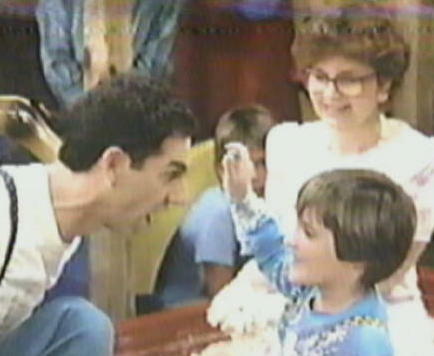 Bob's son, Adam, played the boy who got to drink from the fire hose. Today, Adam Maras plays college baseball on a scholarship. Not surprising...Bob is a cousin to Yankee great Roger Maris. I learned this from George Maras, who is Bob's brother, and a one-time baseball prospect himself. George tells me that Roger changed the spelling of his name from "Maras" to Maris in 1955 after playing 25 games for the Tulsa Oilers AA team. Roger had a run-in with then-manager of the Oilers, Joe Schultz. The name change allowed Roger to play for his next team (Reading, PA) without the wrath of Schultz following him. Schultz later managed the Seattle Pilots (a major league expansion team that existed for only one year, 1969). Jim Bouton, former teammate of Roger's with the Yankees, chronicled his own comeback with the Pilots in his classic book, "Ball Four". Schultz was often heard to say, "Let's go get 'em and then pound some Budweiser." This bat with the "Maras" spelling is from Maris' stint in Keokuk, Iowa, just prior to Tulsa. According to Bouton, Roger came up with an effective comeback for hecklers: "Yeah? How much money are you making?" 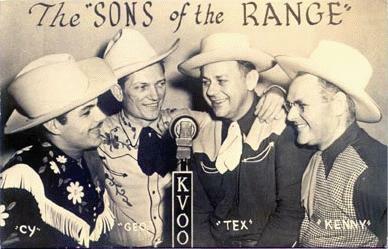 as a tape operator at KVOO-TV, and before that, with Cy Tuma in the "Sons of the Range". A short time after Roger Maris hit 61 home runs, he and Clete Boyer (Yankee 3rd baseman and Broken Arrow resident) made an appearance in the sports department at Oertle's. In those days, appearances of major athletes didn't create the hoopla they do today. I'll never forget walking into the sports department and there Roger and Clete were, just standing there with NO crowds around. I walked up, handed them a small piece of paper and got both autographs. I have it still today and it is a cherished memento. 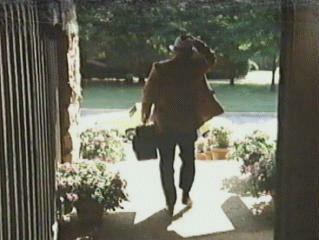 The film company arrived in Tulsa on 7/18/1988 and stayed for eight weeks. The movie premiered on 7/21/1989. 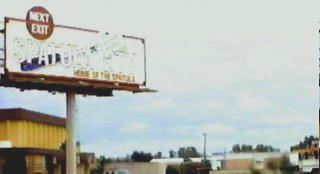 The "Spatula City" billboard was at Memorial and the Broken Arrow Expressway. It stayed up all summer, no doubt baffling more than a few Tulsans. 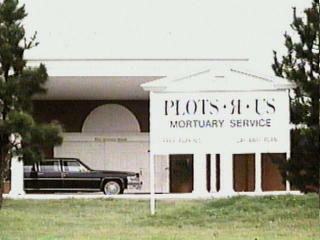 The "Plots R Us" fake commercial was shot at Oaklawn Cemetary, 1133 E. 11th St.
6/4/2007: The same sharp-eyed reader suggested that this brief "Plots R Us" building shot, intercut with the Oaklawn footage, might not be at Oaklawn, based on his "UHF" expedition two days ago. 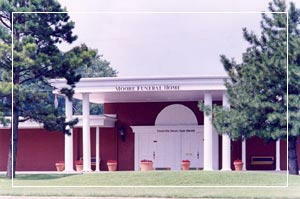 We found the actual location without leaving the computer: Moore Funeral Homes' Rosewood Chapel at 2570 S Harvard Ave., just north of Steve's Sundry. Rich Uncle Harvey Bilchik's residence is located at 6636 S. Knoxville. 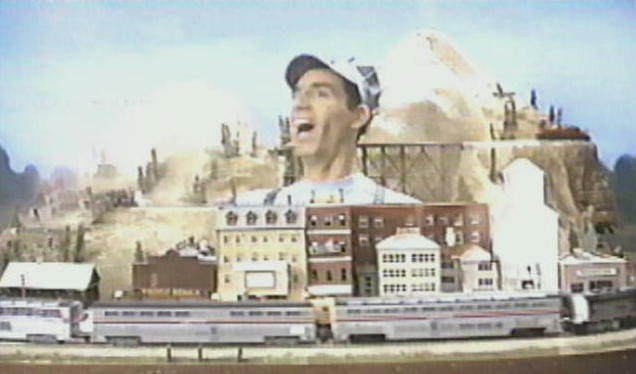 Actor Michael Richards, guesting on the DVD commentary, said Tulsa was a great place... $100,000 would buy a mansion (of course, that was during the oil bust in 1988). at 4466 S. 74th E. Ave. Note the aquarium and the antique TV. As a long-departed Tulsan and lover of all that is T-Town kitsch, I am a huge #1 fan of your site. 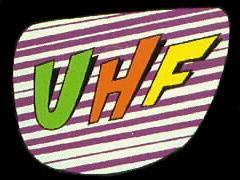 I worked on "UHF". In fact, the set for Philo's Workshop (master control) was my office when I was a producer on the Jimmy Houston Outdoors Show. 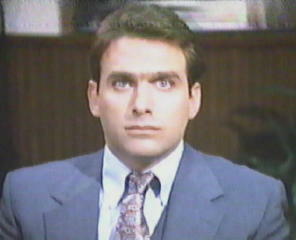 Finally cleaned the fish scales out of my career, I now oversee all programming for the TLC Network in Washington DC. Just wanted you to know, I check in every few days and no site on the web brings me more nostalgia or enjoyment. It's amazing that there's nothing like it anywhere else. 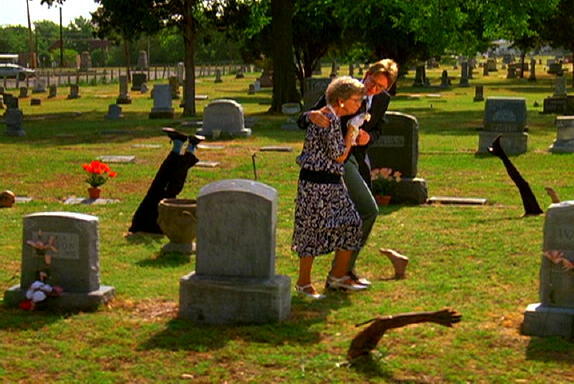 I was 12 years old when this was filmed in Tulsa, and Weird Al was my hero. My dad brought me home from soccer practice one afternoon, and there was Al, sitting in one of those director-style chairs. They were filming a scene in his girlfriend's apartment (Victoria Jackson) at 4322 E 66th, Apt. K. My dad happened to live in Apt. 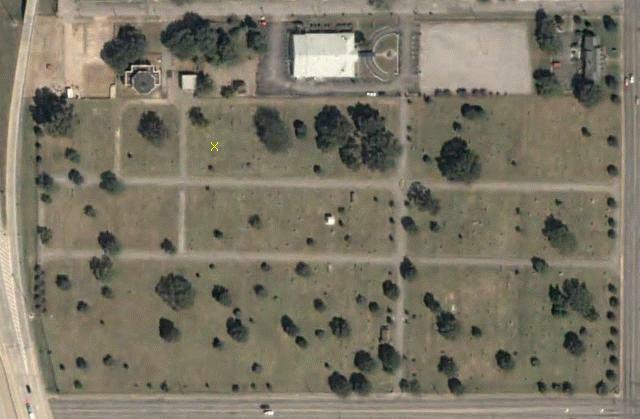 V, right across the way, and down a few units. Anyway, I introduced myself to him and told him I was a big fan. He signed an autograph for me. I got one for my little brother, too, since he wasn't there (we both lost them over the years, unfortunately). I had a couple of friends who were extras in the movie as well. 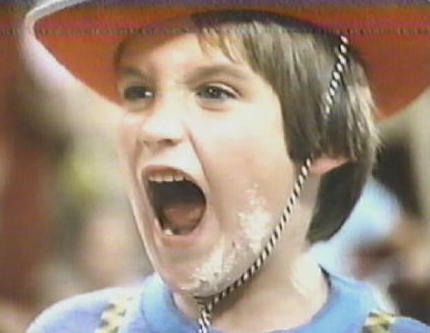 Joe Smith was on my soccer team, and if I'm not mistaken, is the kid in the audience with a speaking part that says "I wanna go home!" when Al's ratings are sagging right before Stanley Spadowski's TV debut. 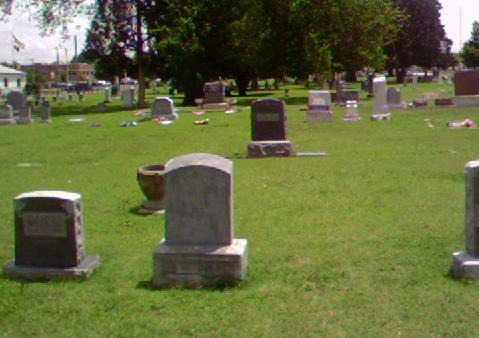 The movie was shot in Tulsa at the recommendation of Executive Producer Gray Fredrickson, who had worked with Francis Ford Coppola in Tulsa on "The Outsiders" and "Rumble Fish". Coppola visited the "UHF" sets in L.A. during the filming. Earl Ramsey of the "American Gun Association" (Ivan Green, who also appeared in the "Ernest" movies) tells the interviewer, "Guns don't kill people...I do." 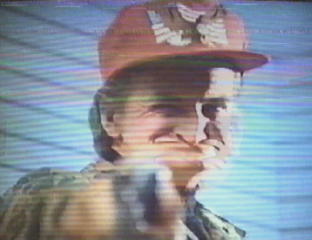 Tulsa comic Barry Friedman played one of R.J.Fletcher's yes-men. Interiors were shot at Kensington Galleria at 71st and Lewis on the second floor. 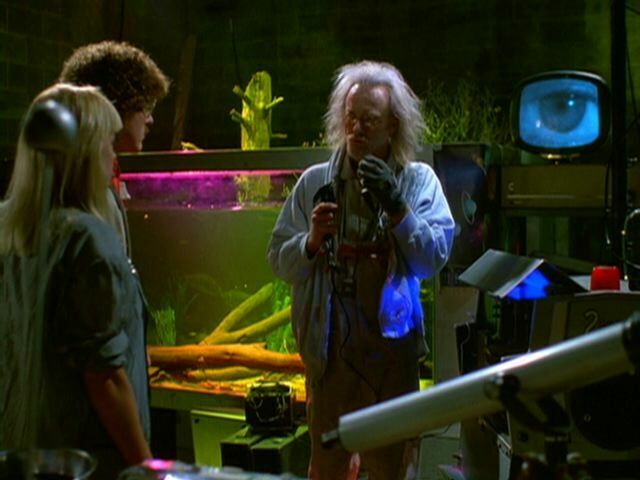 Weird Al got a good deal for the space. Mike Judge ("Beavis and Butthead", "King of the Hill", "Office Space") and Tom Lehrer ("Poisoning Pigeons in the Park", "The Vatican Rag") are big fans of "UHF". Wendy (formerly Walter) Carlos was in talks to do the music for the film, but it didn't work out. Eldon Hallum and Sherry Engstrom were the husband and wife, Sara Allen the neighbor, and Angie Kelly was the announcer for the "Spatula City" spot. 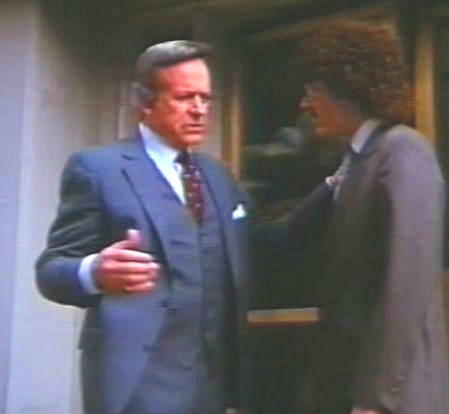 This scene was shot at 2846 E 21st Pl., the Paul Patton residence. An old aerial photo of Tulsa is in the background at U-62 with Fran Drescher, David Bowe and Weird Al. ...neither a Tiki drink nor his pal (David Bowe) can cheer him up. A KMOD sticker can be seen in the next shot, but I can't get enough resolution to show you. in one of the deleted scenes available on the DVD.